Milorganite is a commercial fertilizer made by the Milwaukee Metropolitan Sewerage District (MMSD) from the bacterial remains of the wastewater treatment process. Before the twentieth century, Milwaukeeans disposed of sewage in area waterways. After many years of debate over sanitation, the Milwaukee Sewerage Commission was created in 1913 to address the problem. 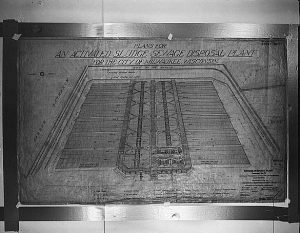 The Commission’s first Chief Engineer, T. Chalkley Hatton, developed a plan for a centralized disposal system located on Jones Island. 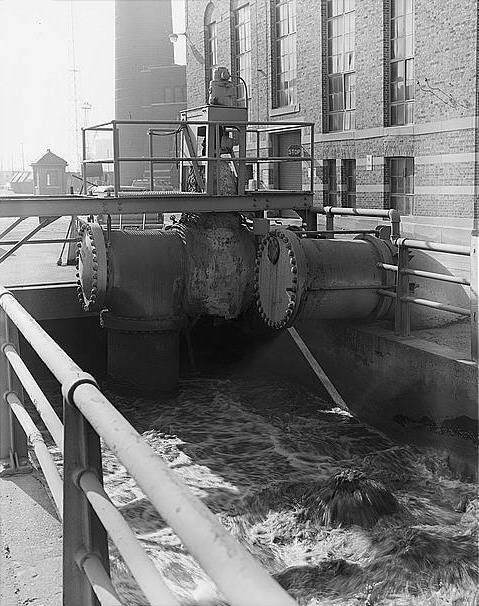 Around 1914 Hatton recommended purifying the city’s water with the “activated sludge process.” In this approach, sewage is mixed with microorganisms and air. Microbes eat the pollutants, which are filled with nutrients, and then die after consuming all of the nutrients. The clean water is then returned to Lake Michigan. The activated sludge process came with another benefit: the dead microorganisms could be removed, dried and sold as fertilizer, providing a financial return to Milwaukee. The fertilizer’s name, Milorganite, was chosen in a nationwide contest sponsored by National Fertilizer Magazine. Sold to homeowners and professionals specializing in lawn care since 1925, Milorganite is still produced by MMSD, which oversees wastewater treatment. 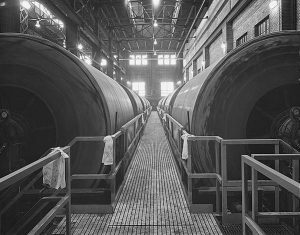 In the 1980s, MMSD changed its production process in response to concerns about heavy metals from industrial waste in Milwaukee’s waterways and consequently in Milorganite. Milorganite remains a popular product, partially because it contains slow-release phosphorous, which MMSD explains is less likely than synthetic phosphorous to enter and contaminate groundwater. ^ Dennis Horvath, “The Sewage Disposal Controversy: A Study in Milwaukee Area Politics” (MS thesis, University of Wisconsin-Milwaukee, 1964), 2. ^ “Milwaukee Metropolitan Sewage Treatment Plant,” Civil Engineering 72, no. 11/12 (2002): 121. ^ “Milorganite’s History,” Milorganite, accessed June 18, 2014. “Milorganite’s History,” Milorganite, accessed June 18, 2014. ^ “Non-Leaching Phosphorus,” Milorganite, accessed June 18, 2014. Horvath, R. Dennis. “The Sewage Disposal Controversy: A Study in Milwaukee Area Politics.” MS Thesis, University of Wisconsin-Milwaukee, 1964. Kadish, Victor H. “Milorganite—A New Fertilizer Material.” Industrial & Engineering Chemistry 20, no. 1 (January 1, 1928): 9–10. doi:10.1021/ie50217a008. “Milwaukee Metropolitan Sewage Treatment Plant.” Civil Engineering 72, no. 11/12 (December 11, 2002): 120-121.